Wildlife conservationists have a saying, “A fed bear is a dead bear.” This is to remind people of the dangers of feeding wild bears. There is danger, of course, to a person who would interact with a bear in such an inadvisable way. But it is dangerous to the bear also. You see, bears who lose their fear of human beings often become a nuisance. They begin to see humans as a food source and start coming closer to people. Sadly, this often ends in tragedy, as nuisance bears are sometimes killed if they are perceived to be a danger to humans. 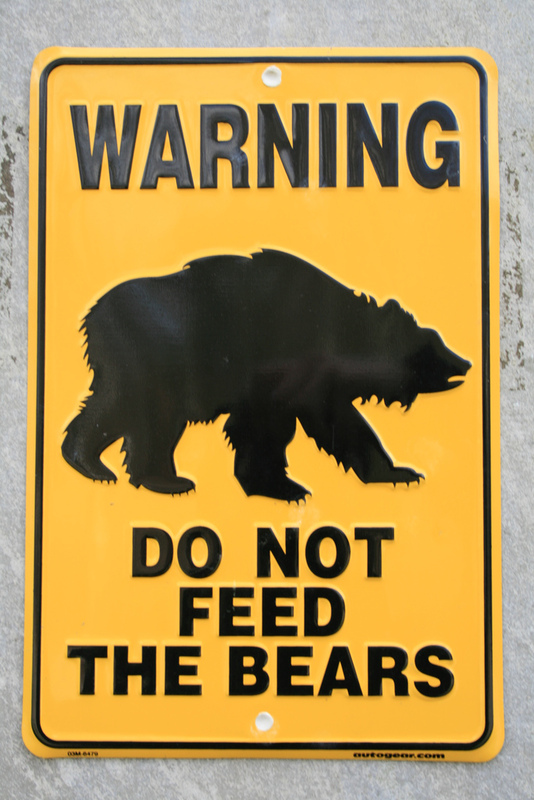 So, the bottom line is this—Do not feed the bears! When it comes to God’s people, however, the opposite is true. We must be fed the Word of God. The danger is that we will not be fed, and as a result will become weak in our faith. You don’t have to be a gifted teacher in order to impart some biblical knowledge to another person. We all have the ability, and the duty, to teach others what we have learned from God’s Word. Let’s not be hesitant to feed each other! “…Jesus said, ‘Feed my sheep.’”—John 21:17. This entry was posted in Christian Living and tagged do not feed the bears, feed my sheep, feeding on the Word of God, growing in our faith, illustration, spiritual growth, teaching the Bible. Bookmark the permalink.